Want to work with the fastest growing startup? You’re in luck! We’re looking for all-star Campus Community Managers in colleges to be a part of Droom growth story. You’ll get hands-on experience growing the brand on your campus and in your city. Droom Campus Community Manager Program is a platform for enthusiastic students who are keen to get a head start in their careers! 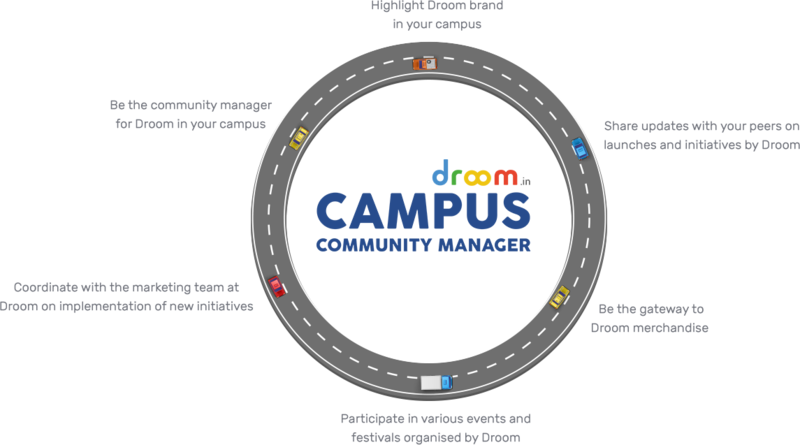 Any full time student currently in 3rd or 4th year of engineering and 1st/2nd year of MBA/PGDM can become the Droom Campus Community Manager for his/her respective college. How much time do I need to dedicate to being a Droom Campus Community Manager? 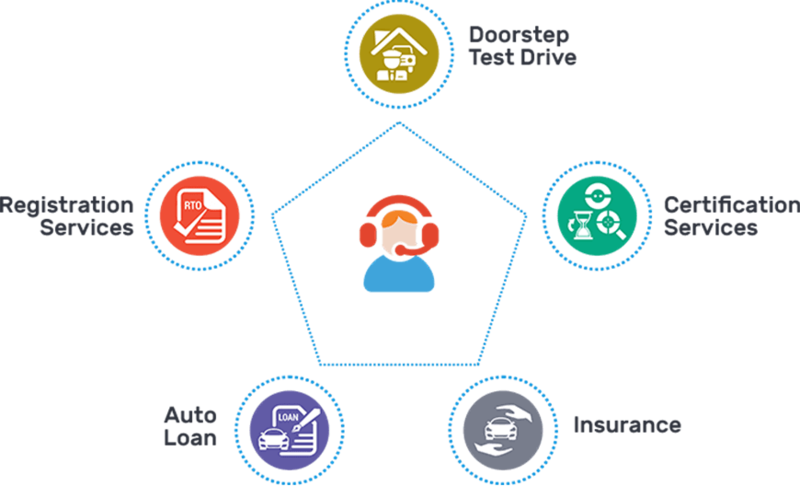 As DCCM you may be required to put in your time occasionally for promoting Droom updates and campaigns as communicated to you by Droom. How do I connect with other Droom Campus Community Managers across the country? Droom Campus Community Managers across the country would be connected through various mediums like email and social media. Also, Annual Droom Campus Community Managers Meet will be organised in an exotic location where they can network with other DCCMs and Sandeep Aggarwal. First of all, thank you for applying for Droom Campus Community Manager Program. We will be reviewing applications as they come in and will contact those who have made it into the program. Best of luck! What are promotional materials/merchandise and how can I access them? Droom promotional materials include the collaterals and merchandise. You may write to us on campus@droom.in for the collaterals and merchandise, or you may order Droom merchandise from Droom Merchandise Store (www.droom.in/droom-merchandising).